Mandi Monaghan shares her story of finding an abundant life, giving back to the community and creating a team of real estate agents that share the same vision! We talk about what was Mandi’s big why and what encouraged her to go after what really mattered in life. She has done so many great things for her community and continues to lead a life of contribution! – Mandi shares her journey through getting into real estate and how where she is at now. After having her son, she left her government job to become a real estate agent because she wanted more in life and to make a difference in the community. – Mandi explains the difference between growing a real estate team and individual real estate agent. – Her experience with coaching and building her real estate team that has the vision to make a big difference. – What was the grind like for Mandi when she first started in the real estate industry. – How Mandi built connections in the neighborhood and brought a community together by hosting an event. – What has she learned about creating video content and how has it changed her brand. 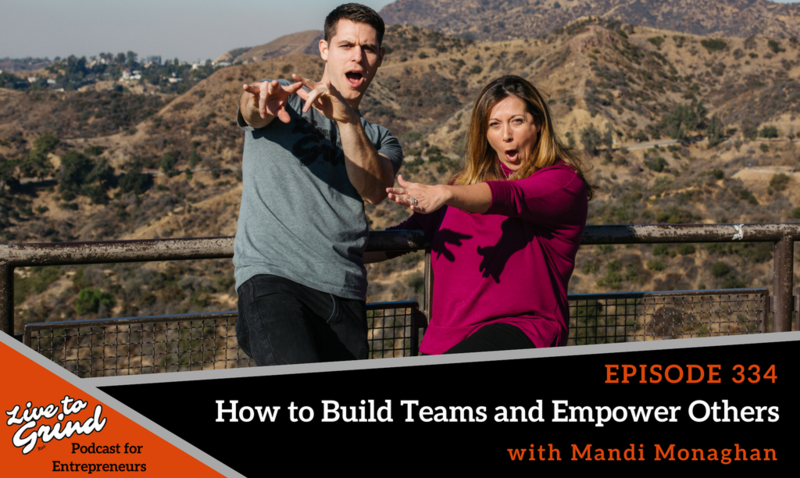 – Mandi shares the moment when she realized success was more than sales and money. Mandi Monaghan is passionate about empowering leaders to intentionally maximize their unique contribution to the world through a spirit of generosity, love, and abundance. Why? Have you noticed that when people live their lives from an abundant space of generosity and service to others, it change their life… and can change the world! Anyone has the ability to change…. And everyone has the power to begin living THEIR life of contribution to the world, today! As a successful entrepreneur and business coach, Mandi has personally experienced the continuous joys of giving. She and her husband founded a children’s non-profit foundation in 2012 that teaches children the gifts of giving and leadership through generosity. They chose to fund this through the profits in their real estate business, and have invited their clients and community to participate in giving events throughout the years.